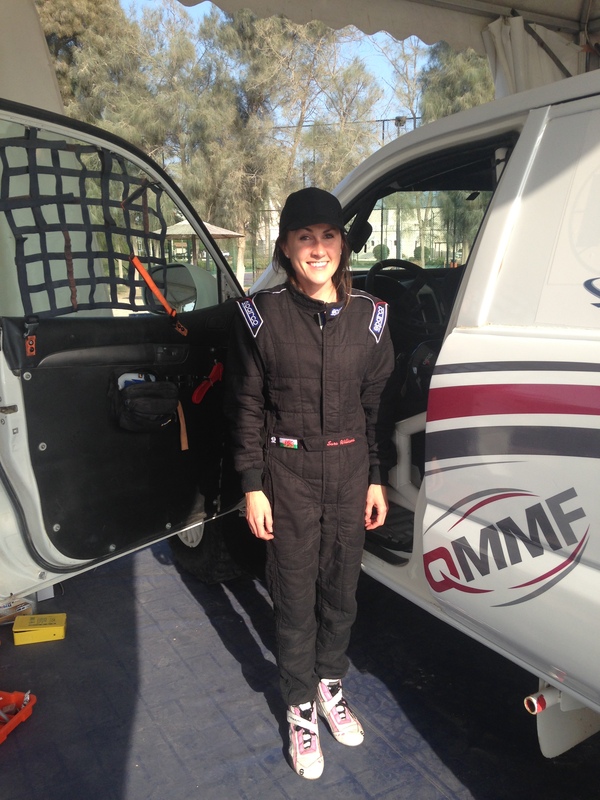 #1 British female rally driver Sara Williams has recently returned from Qatar after 5 days of intense desert driving training courtesy of Qatar Motor and Motorcycle Federation (QMMF) and the FIA Women in Motorsport Commission. Sara joined 17 fellow female drivers and co-drivers, who received expert training from Jutta Kleinschmidt (the first and only female winner of the Dakar Rally) and cross country rally winning co-driver Fabrizia Pons, with a final 6 being chosen to compete in the 2016 Sealine Rally. Despite missing out on the final selection, Williams completed the project enthused and charged with positive experiences. 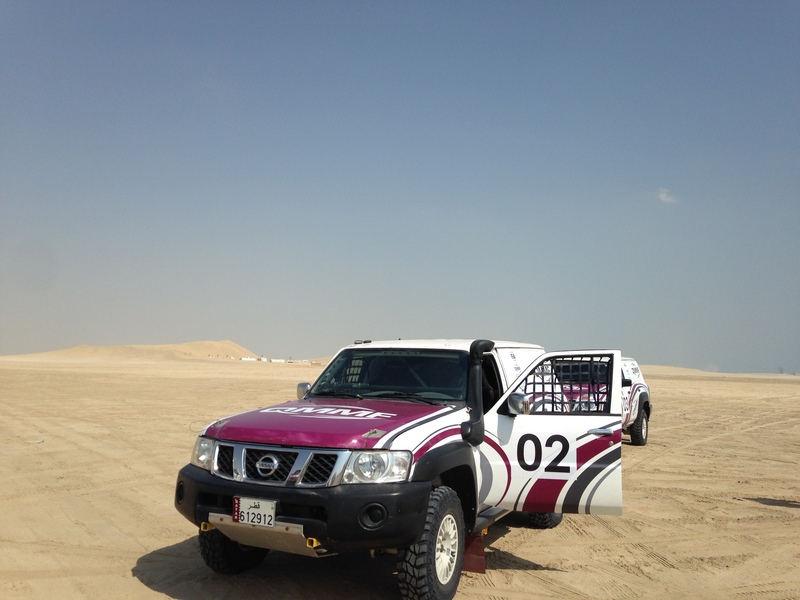 Candidates headed into the expansive desert, some with no previous desert driving experience, in temperatures of over 35°C to gain experience in all facets of desert racing. Each day the participants tackled different disciplines, including handling a vehicle in sand, navigation, changing a wheel, extracting a vehicle when stuck and tackling the intimidating dunes. 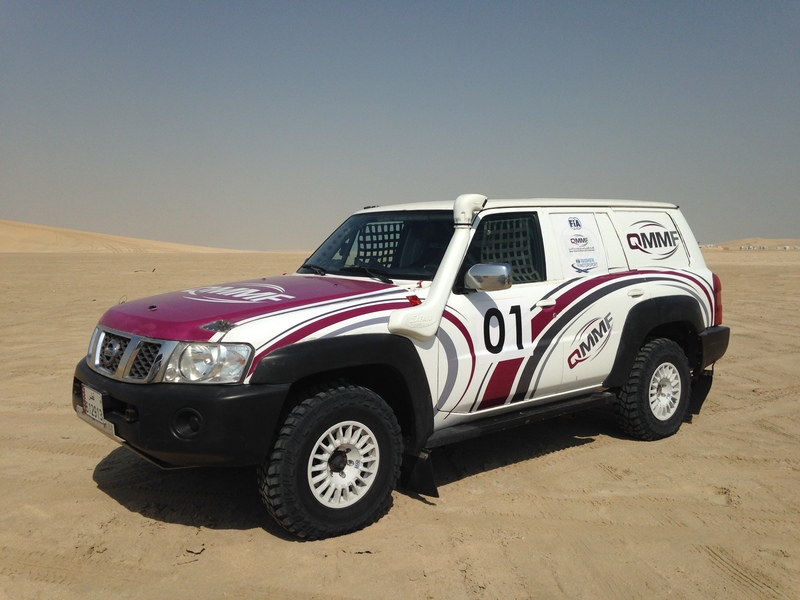 Vehicles and support were supplied by the QMMF, with the expertise of Jutta and Fabrizia always on hand for the drivers. The project was enabled by the head of the QMMF, Nasser Kalifa Al Attiyah, and the head of the FIA Women in Motorsport Commission, Michèle Mouton. Both are ex professional rally drivers, with a firm commitment to boosting the profile of women within motorsport. Meeting Mouton, the first and only women to win a WRC rally and a veteran of the infamous Group B era of rallying, was a personal highlight for Sara. Originally only one driver and co-driver were to be selected to compete in the 2016 Sealine Rally. However in a generous gesture from the QMMF, it was announced during the Friday award ceremony in Doha that another two entry cars would be funded by the federation. The main winners, New Zealander Emma Gilmour and Lisette Bakker of the Netherlands were joined by Australian Molly Taylor, Yasmeen Elmajed of Jordan, Cristina Herrero of Spain and Belgian Lara Vanneste. With Sara building her international profile, inclusion on such a prestigious motorsport project is the culmination of her tireless efforts on stage and in the garage. With her growing reputation and great experience behind the wheel, inclusion has seen her talents recognised on an international level, talents that fans of the UK rally scene are only too aware of. For Sara, the present and the future are nothing but bright. Photo Caption 1: #1 British female rally driver Sara Williams with Michèle Mouton, head of the FIA Women in Motorsport Commission. Photo Caption 2: Candidates headed into the expansive desert, some with no previous desert driving experience, in temperatures of over 35°C to gain experience in all facets of desert racing. 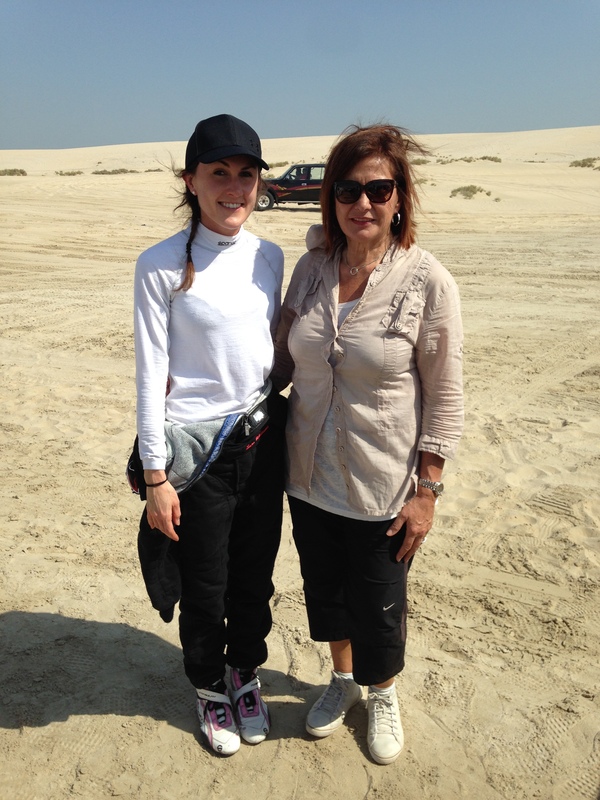 Photo Caption 3: Sara tackled different disciplines throughout the project, including handling a vehicle in sand, navigation, changing a wheel, extracting a vehicle when stuck and tackling the intimidating dunes. Photo Caption 4: The project was enabled by Qatar Motor and Motorcycle Federation (QMMF) and the FIA Women in Motorsport Commission.